Over the last 15 Years Anthar has been traveling and sharing the wisdom of the Sacred Fire and Ancestral Sound and its relation to the Plant and Animal Kingdom Medicine. 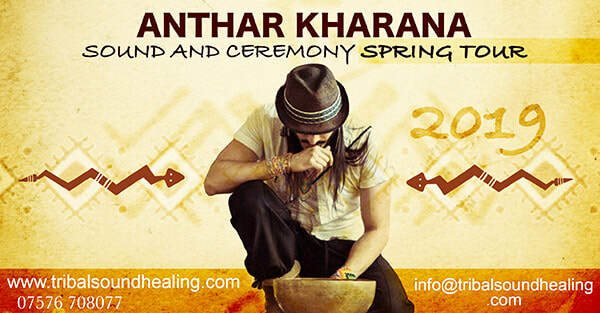 He leads traditional ceremonies, sound journeys, conferences, workshops, concerts, therapies and retreats in different countries around the world including, Colombia, Chile, England, Scotland, Wales, Ibiza, Bali-Indonesia, Poland, France, Portugal, Switzerland, Romania, Seattle, South Korea and Italy. He is the Director of TRIBAL SOUND HEALING in the UK and Colombia and co-director of the first school of sound healing in Scotland ANSU School of Sound & Tribal Healing Arts.